However ugly it looks and however yucky it is when you tread on it, chewing sugar-free gum may be positively good for you. Studies have found that it may improve concentration, reduce tooth decay and aid relaxation. Britain's average of 120-130 pieces per person each year makes it the world's second-largest consumer of gum. The British Dental Association has sponsorship from a sugar-free gum manufacturer, and the American Dental Association (ADA) gives this type of gum its seal of approval. The ADA says that some research shows that 20 minutes of chewing after meals can prevent tooth decay. So should we all follow Sir Alex Ferguson's example and chew gum? Research generally suggests that sugar-free gum can reduce tooth decay. Sugar-free gum contains sweeteners such as xylitol or sorbitol, both compounds known as polyols. Sorbitol has 60% of the sweetness of sucrose but a third fewer calories. An added bonus is that polyols are not absorbed in the intestines and so don't cause a leap in glucose levels after meals (a leap thought to increase the likelihood of diabetes). This, however, can cause diarrhoea if polyols are taken to excess, which can happen if you chew a lot of gum. The benefits of sugar-free gum have been widely researched, with at least one review of 19 studies showing a reduction in tooth decay. The European commission allowd xylitol to be marketed as a "tooth‑friendly" ingredient. So, how is sugar-free gum good for your teeth? Chewing gum increases the flow of saliva into the mouth. This neutralises and dilutes the acid that swills around after the breakdown of food by bacteria that normally live around your teeth and gums. These acids typically stick around in the mouth for 20 minutes after eating. During this time, they dissolve carbonated hydroxyapatite, which is the main ingredient of tooth enamel. This mineral loss can be counteracted by saliva. 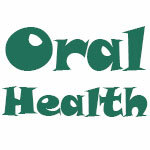 So, sugar-free gum, by encouraging saliva production after meals, helps prevent tooth erosion. Still, as we all know, life is rarely that simple. Too much chewing can increase wear and tear on the cartilage in the jaw and exacerbate pre-existing jaw problems. A review paper in the British Dental Journal says that there is some evidence that the flavouring and preservatives in sugar‑free gum could be acidic themselves and cause tooth erosion and decay. The authors say that more studies are needed. Meanwhile, the British Dental Association's advice to prevent decay is not to rely on sugar-free gum but to brush teeth twice a day using a flouride toothpaste.